Today is World Tai-Chi and Qigong Day. *Civil unrest continues in Syria and Libya and appears to be inspiring citizens in other Middle Eastern countries to debate the merits of wanting more democracy within their countries instead of long term rulers. *Several mid-south and southern areas of the United States have declared local states of emergency after a recent rash of tornado producing storms swept through the area. The death toll for the entire region is sadly now over 300 people. *United States President Barack Obama has officially released his formal birth certificate to end the distractions caused by the Birthers movement in hopes the United States government can get back to more important matters. *A United States Coast Guard investigation has revealed "a poor safety conscious" contributed to the Deepwater Horizon oil spill in the Gulf of Mexico last year. *The launch of the Space Shuttle Endeavor on its final mission has been temporarily scrubbed due to technical problems. *Pope Benedict XVI conducted the annual Easter Mass without any incidents. *This week marks the 25th anniversary of the Chernobyl nuclear disaster. *Katie Couric has announced that she will end anchoring the CBS Evening News this June. *Nintendo has announced that the Wii 2 is in development. *The PlayStation 3 network remains off line after having been hacked this week, jeopardizing the personal information of every registered user. *The last original episode of the syndicated Oprah Winfrey show is scheduled to air the week of May 25. And unless you have been on another planet and completely unaware of this, Prince William and Catherine Middleton are now married. Congratulations to the Royal couple. For more news at any time, either scroll down to the IN OTHER NEWS feature at the bottom of your screen or visit any reputable news source. With the new Royal Couple on their honeymoon and a lot of people still talking about the wedding itself, guess what this weekend's special Puzzle Corner quiz is about? 01. What did the bride to be NOT bring to the Royal Wedding? 02. What is Catherine Middleton's new surname? 03. Where were the Royal Couple married? 04. Where did the Royal Couple first meet? 05. A lot of comparisons were made to the subtle parallels between this wedding and Prince William's parents. What was his mother's maiden name? We'll reveal all next weekend. But for now, let's open THE ANSWERS BOX and see the results from April 23's Puzzle Corner. Q. In what film did the song Easter Parade debut? A lot of people e-mailed the obvious guess of the title film Easter Parade, the 1948 MGM movie starring Judy Garland and Fred Astaire. But the correct answer is Holiday Inn, the 1942 Paramount picture starring Bing Crosby which is more famous for its debut of the song White Christmas. *unearth(s), unease, ungag(s), ungrate(s), unhang(s), unhurt, unrest, unsnag, untag(s), urge(s), urn(s), usage, use, user, (AND) usher! More than the 235 words listed above might be possible! Bet you can guess who I am. Just call me E.B. Anyway, now that my work is done for another year, thought I would kick back a spell and share a few jokes with everyone. What did the chicken say when she laid a square egg? What do you call a bunch of rabbits marching away? If a rooster climbed to the barn's roof and laid an egg, which way would the egg roll off the roof if the rooster was facing east, the barn faced south, and the wind was blowing from the north? Nowhere. Roosters don't lay eggs! Where do rabbits go after they get married? What does an evil chicken lay? Why do rabbits wear their fur short? Because we'd look silly with long hare. Why shouldn't you tell too many egg jokes? Because it might cause someone to crack up! Who is rabbitdom's favorite boy wizard? Well, I'd like to thank The Free Choice E-zine for inviting me out here today. It was fun. But now I think I'm gonna go kick back, relax, hang out with my peeps, and take a well deserved carrot break. From time to time, news occurs that demands more space than our weekly THE WEEK IN REVIEW feature allows coverage for, so we at The Free Choice E-zine started this feature to look at events in more detail when the situation warrants. The following is just the latest article that bears scrutiny. In the legislature that provides additional health care coverage for those who either participated in rescue efforts or actually lived and/or worked at Ground Zero, as the area of the terrorist attacks on September 11, 2001 is known as in the United States; Florida Congressional Representative Cliff Stearns (Republican) added a provision that potential claimants are not only required to give proof of identity, but also must be able to prove beyond a shadow of a doubt that they themselves are not terrorists! We can understand the former part of that provision: proof of identity, so false claims cannot be filed, and have no problem with that. The latter, requiring proof of not being a terrorist, we have mixed feelings about. While Homeland Security is a valid and important concern to America or any country, it is highly improbable that any terrorists were actually at Ground Zero that fateful day, and the background checks on claimants just slows down providing aid and could be seen by some as an insult to those who strove to help during that fateful event and in the days that followed. The rescue workers, along with the innocent victims and bystanders, were exposed to a lot of materials that they should not have been (like fuel oil and asbestos), let alone the unimaginable trauma of such an event to begin with. Hopefully things can be worked out to everyone's satisfaction and those in need now get the help they deserve. *The civil unrest and fighting continues in Syria and Libya, with reports of civilian deaths in both countries and stories concerning mass rapes of innocent women by Mommar Gadafi's forces in Libya. Meanwhile, Oman is trying to head off any potential problems with a new series of public relations advertisements. *Fidel Castro officially resigned from Cuba's Communist Party's Central Committee as part of his gradual retreat back into private life. *Goodluck Jonathan won the Presidential election in Nigeria. *Fans mourn the death of Elisabeth Sladen as she lost her unknown to the public battle with cancer. The actress is best remembered for portraying Sarah Jane Smith between Doctor Who and its spinoff: The Sarah Jane Adventures. *For those who need a reminder, the royal wedding between Prince William and Kate Middleton is this coming Friday, April 29 in England. *Lindsay Lohan has been sentenced to four months in jail for a parole violation. Considering what April 24 is this year, we have a specially themed Puzzle Corner for you this weekend. So sharpen those wits and hop to it! Everyone knows the Irving Berlin song Easter Parade. But when did it make its MOVIE debut? How many words can you make out of the letters in that holiday tradition: EASTER EGG HUNT? We'll reveal all next weekend. But for now, let's take a peek in THE ANSWERS BOX BASKET, and reveal the results from the April 16th Puzzle Corner. The question was: What program first theorized the possibility of rechargeable batteries? I received a lot of e-mail guesses to it being the original versions of either Lost In Space (1965-1968) or Star Trek (1966-1969). Professor Roy Hinkley (portrayed by Russell Johnson) was always finding ways to keep the batteries in the transistor radio the castaways had going. So, what was represented by the image on the left? While it is a photograph from an actual school science project I found on the Internet, the project was based upon the song "Does Your Chewing Gum Lose Its Flavor (On The Bedpost Overnight)?" Recorded by Lonnie Donegan and His Skiffle Group, it peaked at number three on the United Kingdom record charts in 1959, and made it to number five on the United States record charts in 1961. 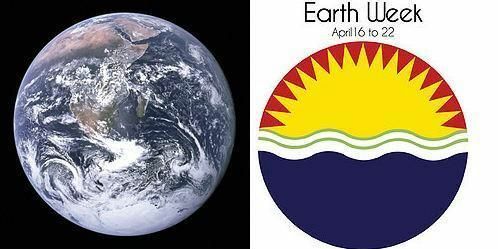 While this year's celebration also coincides with Good Friday, today is EARTH DAY. While hopefully the thought is with everyone the other 364 days of the year, today ALL Humans should take a moment to realize that this is the only planet we have to live on and it should be well taken care of! So lets do more to start going green. A Public Service Message from The Free Choice E-zine. SUNDAY FUNNIES: SCHOOL(HOUSE ROCK) IS NOW IN SESSION! There are some very important issues going on within the United States of America right now. Federal Income Taxes are due tomorrow, April 18, 2011 because Emanacipation Day (April 16) fell on a Saturday this year. Meanwhile, the great budget debate continues in Congress. Now being just a young puppy myself, it took me a while to figure all this out. Don't worry, I'm not going to get all political or preachy here. But it dawned on me that some folks out amongst The Free Choice E-zine's readership, especially the younger crowd, might not quite realize what exactly is going on. So look what I dug up! Schoolhouse Rock was a great series of animated shorts that covered a wide variety of subjects, including math, science, and history. Unfortunately the series is no longer aired on television, which is a dang shame if you ask me, but is still available on DVD and YouTube, where I found these great videos. First up is "Tyrannosaurus Debt". It was originally produced in 1996, so the actual debt figure is off, but otherwise everyone should get the concept behind what is going on with the great budget debate. The other video I found is called "Tax Man Max", which was first aired in 1995 and explains the basics behind just what the money is supposed to do. So while neither video resolves the issues before us, at least those that didn't know how have a little more understanding of what is going on. Hope I've done a good job enlightening everybody. Take care, have a good week everbody, and be back here next weekend for more Sunday Funnies!-AtP. Schoolhouse Rock, (a great feature that should be revived and used as a teaching tool more often! ), is available on DVD. Video sharing courtsey of YouTube. Schoolhouse Rock (c) by Schoolhouse Rock, Ink Inc. NOTE: BECAUSE EMANCIPATION DAY IS BEING CELEBRATED IN WASHINGTON DC SATURDAY APRIL 16th, AMERICAN CITIZENS HAVE UNTIL MONDAY APRIL 18 TO FILE THEIR FEDERAL INCOME TAX RETURNS. THIS EVENT DOES NOT AFFECT ANY STATE INCOME TAX RETURNS, WHICH WERE DUE YESTERDAY APRIL 15. *Although the problems in Libya are as yet unresolved, Syria is fast becoming the new hotbed of citizen unrest over government corruption that has occurred under years of hereditary dictatorship. *The Southern/Gulf Coast of the United States is in the midst of tornado season. Bad storms have already caused serve damage and lost of life in some areas. Disaster relief will hopefully be forthcoming. *Although happy that they made an attempt, US President Barack Obama calls the House of Representatives Republican Party member's proposed budget cuts "wrong for America" because, besides repealing the Health Care Reform Act, it also "ends Medicare as we know it, and makes cuts to Medicaid that would leave millions of seniors, poor children, and American citizens with disabilities without the care they need." *Gas prices in most areas of the continental United States have risen above $4 a gallon for regular unleaded. *Investigations have revealed that British Petroleum tried to alter the course of research they funded into not only just how bad the Gulf of Mexico oil spill was in 2010, but the long term risks as well. Meanwhile a lot of claimants are still saying that BP has yet to pay them for damages resulting from the Deepwater Horizon spill, despite public relation commercials produced by the oil company that state otherwise. *NASA celebrated the 30th anniversary of the space shuttle program that they are in the middle of phasing out to coincide with the 50th anniversary of Cosmonaut Yuri Gargarin being the first human in outer space. *ABC has canceled the long running soaps All My Children and One Life To Live. Their reality show replacements: The Chew, about eating healthier, and The Revolution (working title), about living healthier, will not be ready until this fall and next January respectively, so which soap bows out first remains to be seen. *Tolkien fans rejoice that filming has finally begun on Peter Jackson's adaptation of The Hobbit. *A jury has found former baseball player Barry Bonds GUILTY of obstructing justice during investigations into the use of illegal drugs in that sport, although could not reach an unanimous decision on the three counts of perjury he also faced in regards to the possibility that he lied about using or having been administered steroids and/or other performance enhancing drugs.. It is unknown at this time if that part of the case will be retried, hence Bonds has yet to be formally sentenced. The Free Choice E-zine still stands by its opinion that Bonds, and any other convicted drug user, should be stripped of whatever awards and honors they "won" while using the illegal substances! *On a more positive note, Major League Baseball celebrated the legacy of Jackie Robinson Friday as all players wore the number 42, which Robinson was assigned when he started playing for the Brooklyn Dodgers in 1947. Otherwise, that number has been retired by every team in his honor. For more news at any time, either scroll down to the IN OTHER NEWS feature at the bottom of your screen, or visit any reputable news source. Sharpen your wits folks, for more enigmas are upon you! What television program FIRST theorized the possibility of rechargeable batteries? HINT: While produced in America, this series has been viewed globally. A famous song is represented by the image below. Do you know what it is? We'll reveal all next weekend. Meanwhile, let's peek inside THE ANSWERS BOX, and reveal the results from April 9's Puzzle Corner. Charlie Sheen and Jon Cryer DID work together before Two and a Half Men, in the first Hot Shots movie. Mister Toad appeared in The Wind In The Willows. Tara was a major setting in Gone With The Wind. Combine the two together, and the new book where Mister Toad visits Tara is Gone With The Wind In The Willows. In a speech this afternoon at George Washington University, United States President Barack Obama announced his plan to address and hopefully reduce this country's budget deficit by four TRILLION dollars within the next twelve years. *Strengthen Social Security, Medicare, and Medicare; despite a recent proposal by Republican Paul Ryan of Wisconsin (the state that recently did away with collective bargaining for that state's unions) that would shift the burden of medical costs to the senior citizens it is supposed to cover. A bipartisan committee headed by Vice President Joe Bidden is scheduled to convene next month to work out the final details on the plans, but given the Republican position on things since Obama took office, pundits and analysts are already predicting a long road for any of these proposals to bear fruit. The Free Choice E-zine will keep our readers up to date on the situation as the story develops. On April 12, 1951 Russian (then Soviet) Cosmonaut Yuri Gagarin became the first human being to traverse the then virgin realm of outer space, by circling the Earth in the Vostok 1 (aka Vostok 3KA-2) capsule. His lone orbit of the planet only lasted 108 minutes, but its impact lives on. The Free Choice E-zine pauses to commemorate this event, and sincerely hopes that mankind continues to reach for the stars and beyond. Now, since none of The Free Choice E-zine's staff was alive before the 1960s at the earliest, we would sincerely like to know if April 11, 1954 can truly be considered the most boring day in history. Our only comment on the subject? Considering the current state of the world, another boring day doesn't sound like a bad idea. Thoughts, opinions, comments, dear readers? Would you believe that today is Golfers' Day? Seriously. A day dedicated to honor the participants in just one sport? Now I must admit that I have never quite understood the game of Golf myself. According to you Humans, Golf involves taking a bunch of clubs and hitting a little white ball around this beautiful, big open field. I guess that's to pass the time until one of those Golfs show up. Then you probably use the clubs to attack it, right? But those must be some pretty rare animals, because I have heard about plenty of Golf games, but not one report of anyone ever catching a Golf. Besides the fact that I would love to chase a ball of any size around all day, I'm willing to help you track down one of these Golfs if you can tell me what it looks like. Have any of you folks ever seen a GOLF? What kind of animal is it? If you catch one, is it even good eating? Anyway, I don't know about you, but I can think of plenty of other things to do in a big open field. Besides the ball chasing and hunting I've already mentioned, you could romp and play on it. Have a picnic. Play baseball. Lay down and grab some sun. Get the idea? There are also things called "water hazards" and "sand traps" on this Golf course, as the field is called. I guess that's to try and slow the Golf down when you're chasing it. Of course if I was one of these Golf animals, and I knew where everyone would be looking for me, that would be the last place where you would actually find me. It makes sense, right? Yet from what I understand of the game, even if you don't catch a Golf by the time you've finished walking across that field, you might still win. The lucky player who gets that little white ball across in the least number of hits with the clubs is declared the best in that game. But in most games, the HIGH score is the winner. No wonder Golf sounds weird to me. Well, whatever you do today, have a good week and be back next weekend for more Sunday Funnies!-AtP. NEWS THAT MAKES YOU THINK: KEEPING SPORTS "CLEAN!" From time to time, The Free Choice E-zine takes a closer look at news events that deserve more attention than what can be devoted to them within our WEEK IN REVIEW feature. This post is just the latest in that series. *Barry Bonds' perjury trial continues over whether or not the former major league baseball player knowingly took performance enhancing drugs/steroids and lied about doing so to investigators. Meanwhile, instead of facing an investigation for taking performance enhancing drugs during spring training this year as a recent urine test claims, Manny Ramirez has decided to retire from playing baseball professionally. THE FREE CHOICE E-ZINE'S POSITION ON THE ABOVE? It is the same as it has always been. No matter what the sport, THIS HAS GOT TO STOP! Major League Baseball, as well as every other sport around the world, has got to start taking a much stronger position on the use of performance enhancing drugs than it already has. It is not just enough to make players sit out games and face possible fines. PLAYERS (NO MATTER WHAT SPORT) MUST START FACING MORE SERIOUS ACTION, INCLUDING POTENTIAL JAIL TIME, and the stripping of any titles/awards earned while using! Never having been a professional athlete myself, I will be honest and admit that I have absolutely no idea what goes through a player's mind to even consider, let alone actually introduce such substances into one's body. But besides the obvious questions of what such actions does to the player's health, let alone the team's morale, what about the fans who look up to such players to some extent? Are younger athletes, let alone children, thinking "since (fill in the blank) did it, it must be okay?" It is not just the professional athletes who must set good examples. High school and collegiate sports officials must be vigilant about preventing the usage of these substances. Twice might be considered stupidity. More than that is a dependence that should be addressed and treated like any other substance abuse. 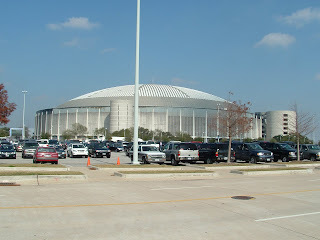 While I cannot speak for all sports, I love baseball. I watch every moment I can from the first pitch of preseason training to the last out of the World Series. But the actions of the Bonds and Ramirezs of the world tarnish the game, just as it would in any other sport. If Bonds is found guilty, I honestly think that the home run record should revert back to Hank Aaron and the single season home run record should revert back to Roger Maris until somebody honestly (in other words: cleanly) breaks and legitimately earns the titles. And for those wondering why there was no closer focus upon the United States budget situation at this time, technically that is still an ongoing story that we are keeping an eye on. *Although plagued by its second "friendly fire" incident in less than a week, NATO continues to oversee operations in Libya as Moammar Gadhafi's forces battle rebels wanting the long time "leader" out of power. Meanwhile, clean up operations continue in and around the Fukushima Dai-Ichi Nuclear Power Plant. Equipment is now being shipped that will eventually encase the reactors permanently in concrete. *A last minute agreement in Congress prevented a "shut down" of the United States Government Friday night over budget issues. While Congress will resume talks and negotiations Monday, no one has to worry about anything. *Barack Obama has announced he will seek a second term as President of the United States. *The Microsoft Corporation will be releasing a massive security system update this coming Tuesday (April 12) to address rising concerning about their current operating systems' safety. 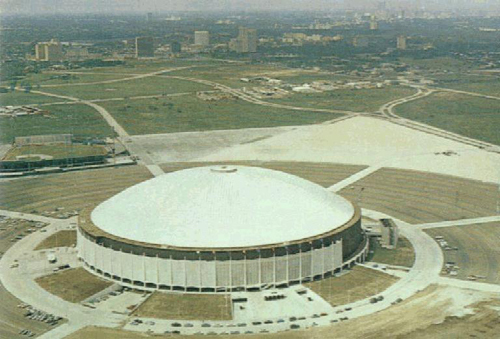 *The University of Connecticut Huskies won the 2011 NCAA Mens Collegiate Basketball Tournament while the Texas A & M Aggies won the Women's division title. For more news at any time, please either scroll down to the IN OTHER NEWS feature at the bottom of your screen or visit any reputable new source. Another weekend is upon us, and puzzle fans know what that means on this website. This is just like a regular trivia question, but there are only two possible answers, hence an even chance of getting it right. Ready? On a recent tour stop, Charlie Sheen announced that he is "available" to return to the sitcom Two and a Half Men. The question is: Has Sheen ever worked with Men co-star Jon Cryer BEFORE that series? A new feature for The Puzzle Corner! The clue below unites two different things at their common words to make a longer thing. Ready? In this book, Mister Toad went to Tara. We'll reveal all next weekend. But for now, let's peek into THE ANSWER BOX and discover the results from April 2's Puzzle Corner. Loving Cup (Love in CUP), an award at some sports tournaments. Out of the letters in the words PLAY BALL, you can make the following words: a, ab (a body muscle), all, baa (an animal noise), bay, la (a musical note), lab (short for laboratory), lap, la (a musical note), pal, pall (a funeral cloth), pay, (and) yap (another animal noise). Play and Ball are not eligible individually. Also not eligible are ALP and PA, but other words besides the 13 above might be possible. Sadly, without my lifetime supply of chocolate. It was a fierce court battle, and I've got the scars to prove it. Thankfully those so called lawyers have more. I was given a "lifetime" supply of that great Belgosian Dark Chocolate for Christmas, but it only lasted a tad over ONE month! Of course I wanted more, but trying to get it proved very hard. In the end, the problem seems to be that no one knows how long a dragon is supposed to live, and I'm just a baby dragon at that; so the person who gave me the "lifetime" supply got off by pleading temporary insanity. Now personally, I think there is nothing 'temporary' about that Bubblehead's insanity, but that was the only legal opening he had. Stupidity unfortunately is not illegal. If it was, I know plenty of politicians who would be in jail right now! Anyway, today is officially the 119th KNOWN anniversary of the ice cream sundae. 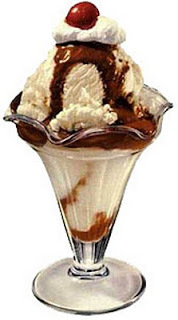 If anyone made an ice cream sundae before the first official one back in 1892, they were wise enough to keep it a secret, for I know I would not have been able to. But I'm glad the secret is out. Ice cream sundaes are delicious! Lots and lots of chocolate! I don't think I have a favorite variety of sundae. If I did, I would have to say the next one, for there's nothing sadder than an empty ice cream sundae dish. So we're celebrating the sunDAE on SunDAY! Go out and have one today. But if you see me there, you might as well go somewhere else, for if I'm in that ice cream parlor, I am definitely going to be there a while! *United States President Barack Obama addressed the nation Monday night to explain America's role in the situation over there, while NATO has taken over control of maintaining the "no-fly" zone. *Mussa Kussa, Libya's Foreign Minister, has resigned and defected to Great Britain. His wife is still there, but it is unknown if it is willingly or as a prisoner. *A crack leaking radiation has been found at the second nuclear reactor at the Fukushima Dai-Ichi facility, while the overall situation there has now been declared the worst nuclear disaster in history by experts. *New concerns have arisen over the nearby ocean and the life within, while citizens much farther away from the power plant have expressed concern that they believe all recovery efforts have gone towards the facility and nowhere else. *There are over 27000 either dead or still missing since the tsunami/earthquake disaster that hit Japan. *Protests and riots continue in Kabul, Afghanistan over the Dove Outreach Center of Gainesville, Florida USA burning a copy of the Quran. While some suspect terrorist insurgents of helping to incite the riot, the church's actions did not help quell anti-American sentiment in that country. *Egypt is scheduled to hold parliamentary elections this September. *Volkswagen has recalled some of the 2011 Jetta Sedans to address wiring problems. If you own one, please take it to the nearest authorized dealer to have the issue addressed. 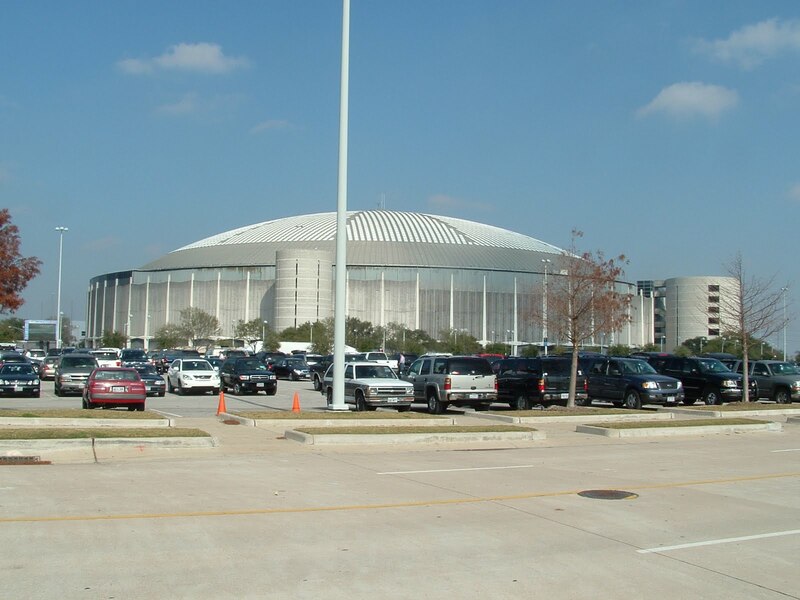 *The 2011 American Major League Baseball season has begun, while American collegiate basketball is near the end of its season with the men's and women's Final Four tournaments en route to determine their respective national champions. *India has won the 2011 Cricket World Cup. Sharpen those wits folks! Here comes more enigmas for your solving pleasure! Do you know what, if anything, is represented by the image below? We'll reveal all next weekend. But for now, let's peek into THE ANSWERS BOX and the discover the results of March 26's Puzzle Corner. Ires to irIs, with all the new words being flowers. So how just how many children did the Cunningham family have on the sitcom Happy Days? I received a lot of e-mails saying two. But while Richie and Joanie were throughout the entire series, the Cunninghams did have an older son named Charles (aka Chuck) who was sporadically shown at college during the first two seasons of the show, but then mysteriously disappeared by the beginning of season three and was never heard from or about again. Those who said three but included Fonzie are wrong, for while the character did fulfill the friend/big brother role that the absent Charles had before Henry Winkler's character got popular, the Cunninghams were only Fonzie's godparents at his (very belated) christening. We at The Free Choice E-zine were at first hesitant to post anything today, but this news is just too big to ignore. 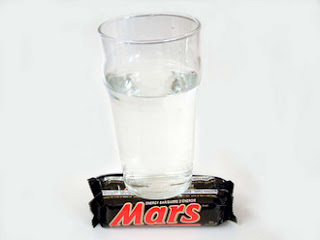 There is new photographic evidence that water has been found on Mars!